Tourists are discovering with delight the hidden treasures of the southern half of the mountainous Korean peninsula, which pokes southwards from the eastern end of the Asian continent. South Korea has been separated from North Korea by a demilitarised zone since 1953, and has flourished to become a stable and mature democracy, home to 50-million people who are spread across its nine provinces, concentrated in seven mega-cities. Previously dubbed ‘the hermit kingdom’, South Korea is now flaunting its bright plumage like a proud peacock. South Korea being a hot tourist destination attracts many people from around the world every year. People come either for recreation or for a business trip. There are many places worth a visit in South Korea from gardens to parks to shopping centers and nightclubs. South Korea works hard, but it also parties hard, so it is not unusual to find people out and about in the wee hours. After a great day of sight seeing you are going to want to take in the wonderful nightlife of South Korea. Some of the famous nightclubs in South Korea are JJ Mahoney’s, Music Bank, Areno, Boss, Chong Hak Dong, Limelight etc. South Korea has many places to visit. 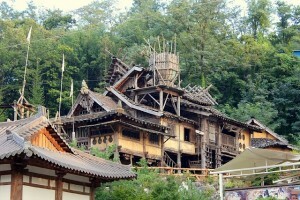 Korea holds a high regard at this as it possess the world finest cultural places temples, and entertainment resorts. Korea is one of the most fascinating regions to visit and explore in terms of its cultural aspects and entertainment opportunities it provide the tourists. 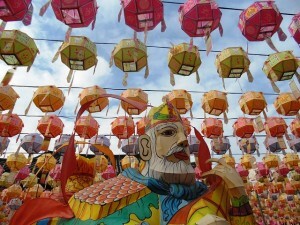 In Seoul city you can visit the National Folk Museum, Namsan Park and Dongmyo temples. In Busan city you can go hiking, visit the beeches or relax at a tourist resort. In Daegu city you can visit the famous temples and parks in the world. The most well-liked parks in Daegu are Apsan, a mountain with trails, Buddhist temples, a Korean War museum, and a gondola ride to the peak. In Gwangju Metropolitan City you can taste the various cuisines which are quite famous or go sightseeing. There are some other famous destinations are Seoraksan National Park, Songnisan National Park, Ulleungdo Island, War memorial etc. You can also go shopping in South Korea. Foreigners can avail special duty free prices. Fashion, antiques, medicine, herbs and spices, electronics and wedding clothes feature highly on Korea’s shopping itinerary. The best shopping districts and markets are in the capital, Seoul, include: Namdaemun (wholesale market); Tongdaemun (good for bargains); Myong-dong (Korea’s fashion district); Insa-dong (antiques and art); Changanp’yong (one of the largest antique markets in the Far East); Itaewon (modern shopping district); Noryargjin (fish market); Yongsan Electronics Market; Koyndang (Oriental medicine, spices and herbs market); Hwangkhak-dong (flea market, good for second-hand shopping); Ahyon-dong (the ‘wedding street’); and Shinch’on (good for accessories and fashion). South Korea has a continental climate characterised by very cold, dry winters and very hot, humid summers. Spring and autumn are virtually non-existent, summer arriving suddenly in late April and winter setting in late in October. Temperatures in winter are usually below freezing, exacerbated by cold winds from Siberia, while summers are warmed by moist, warm prevailing winds from the Pacific Ocean. Between June and September the weather in South Korea is very wet, and typhoons are possible. All visitors require a valid passport, a return or onward ticket, sufficient funds, all documents for the next destination and a contact address in South Korea. Those requiring a visa should obtain one from a Korean Embassy or Consulate before entering the country. Visas are not required if passenger holds an APEC Business Travel Card, provided the back of the card states validity for travel to South Korea.